World-renowned choir The Sixteen performs An Immortal Legacy in the acoustic perfection of Melbourne Recital Centre’s Elisabeth Murdoch Hall on Tuesday 12 March 2019. Celebrating 40 years in 2019, U.K. choir The Sixteen is acclaimed worldwide for performances delivered with precision, power and purity. Standing among the world’s greatest ensembles as peerless interpreters of Renaissance, Baroque and modern choral music, The Sixteen’s tonal richness, expressive intensity and compelling collective artistry is drawn from the passion of founder and conductor Harry Christophers CBE. An Immortal Legacy is one of The Sixteen’s most popular programs and spans over 500 years of British choral music. Composers from the 15th century, Thomas Tallis and William Byrd wrote at times of religious turmoil and national upheaval, producing magnificent works of beauty and musical mastery. Their legacy can be traced to some of Britain’s most celebrated 20th- and 21st-century composers, including Benjamin Britten, Sir Michael Tippett and James MacMillan, whose works complete this enlightening program. 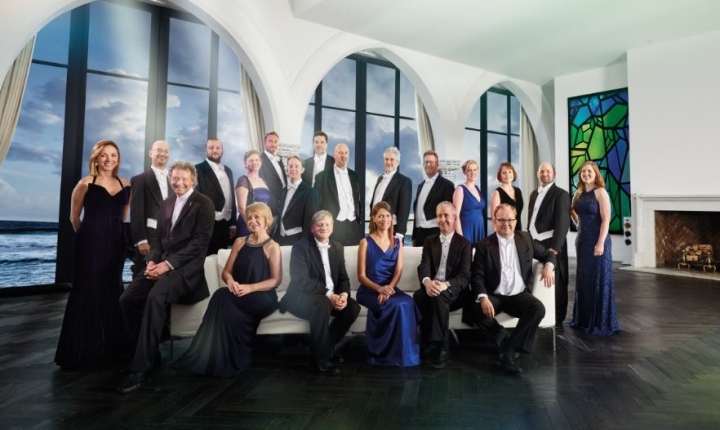 The Sixteen’s exquisite performances of this outstanding breadth of music is reflected in their annual Choral Pilgrimage to Britain’s great cathedrals and sacred spaces, regular appearances at the world’s leading concert halls and more than 100 recordings. Founded in 1979 and conducted by Harry Christophers CBE, the group’s pioneering work over the last few decades have made a profound impact on the performance of choral music. It has won many awards for its musicianship, including the coveted Gramophone Award for Early music and the Ensemble category at the prestigious 2018 Royal Philharmonic Society Music Awards. Voices of U.K.’s Classic FM, The Sixteen also became the first professional choir to sing at the Vatican in over 20 years. Making a much-anticipated return to Melbourne Recital Centre following its highly acclaimed performance in 2015, The Sixteen performs at the Centre for one night only this March. The warmth and clarity of The Sixteen’s voices are a sublime match for Elisabeth Murdoch Hall.